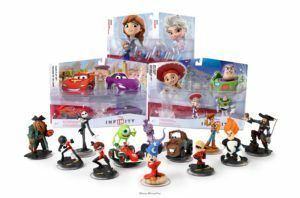 Disney announced today in its second quarter earnings report that it has discontinued Disney Infinity and has closed Utah’s Avalanche Studios, the series’ principle developer. On this week’s show we try a live Google + Hangout – something we plan on doing once in awhile so our fans can interact with us more directly. Hosts Andrew Eisen and E. Zachary Knight are joined by James Fudge to talk about Sony’s two-hour long PlayStation 4 Press Conference and the sad news of layoffs at IGN, GameSpy, UGO and 1UP. Download it now: SuperPAC Episode 42 (1 hour, 14 minutes) 189MB. As always, you can subscribe to the show on iTunes and use our RSS Feed to add the show to your favorite news reader. You can also find us onFacebook, on Twitter @SuperPACPodcast and Google +. You can send us feedback on the show by dropping a note tosuperpacpodcast@gmail.com.